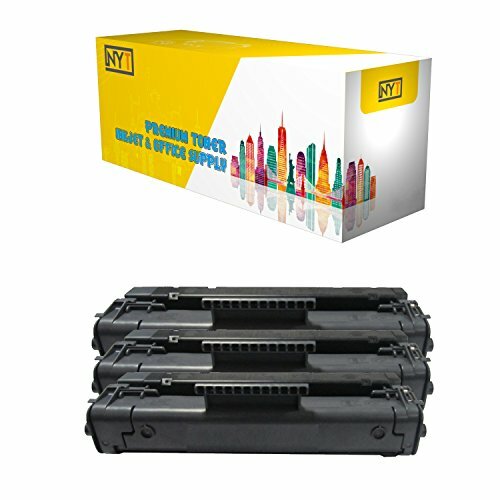 New York Toner provides replacement cartridges that either meet or exceed the original (OEM) product at a fraction of the cost. All of our toners are fill with top of the line, fine particles that help produce the rich blacks and subtle shades of gray that help your pages look clear, legible, and cleanly professional-looking. Not only do we provide you with the savings, but we also provide you with a 100% guarantee, should you have any problems with the product within one year of the date of purchase we will either replace or refund you the full purchase price. You'll want to have one of these on hand when that toner light starts flashing; just snap this toner cartridge into place and you'll be up and running again. ImageClass 1100 | ImageClass 1100P . LaserClass 1060 | LaserClass 1100 |LaserClass 1300 | LaserClass 2050 | LaserClass 2060 | LaserClass 2060P | LaserClass 4000 | LaserClass 4500 | LaserClass 6000L . FAX L200 | FAX L250 | FAX L280 | FAX L300 | FAX L350 | FAX L600 | FAX L4500 | FAX L6000 . FaxPhone L75 | FaxPhone L80 . Laser C Series:C100 . CFX-L3500IF | CFX-L4000 | CFX-L4500IF. New York Toner! Print More, Spend Less.